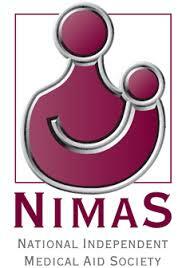 The medical aid scheme, National Independent Medical Aid Society (NIMAS) is one of the oldest in South Africa, having been founded in 1951. Administered by the Metropolitan Health Group, National Independent Medical Aid Society options are suitable for individuals, families and all businesses, whether they are large, medium or small. There are several basic National Independent Medical Aid Society options. Each of suits a particular income bracket and age group. Each one also caters for the varied needs of members. So a certain National Independent Medical Aid Society option will best suit a young family. But then another will suit older people who need chronic medication and need ongoing hospital care. The Supreme plan is the most expensive of the National Independent Medical Aid Society options. There is cover for in-hospital benefits in all hospitals and there is unlimited cover for general practitioners (GPs), as well as pathology and radiology. Several other services including oncology, organ transplants, and dialysis are also unlimited provided patients go to one of the network hospitals. Chronic medication is limited to the 25 PMBs, HIV, benign prostatic hyperplasia (BPH), and hormone replacement therapy (HRT). There is also some maternity care on this plan. This one of the National Independent Medical Aid Society options includes a savings plan for day-to-day medical costs. The Millennium plan is the middle road choice of National Independent Medical Aid Society options and costs less than the Supreme plan but more than the Classic plan. The cover is very similar to that offered in the previous plan, but with lower amounts covered. It includes organ transplants but subject to PMBs, and oncology has a specific treatment plan with protocols. Maternity care is subject to savings. 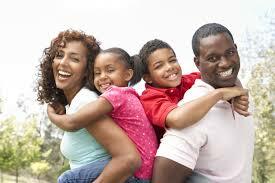 The Classic plan is the least expensive of the various National Independent Medical Aid Society options. There is cover for major medical care and cover for the 26 specified PMB conditions. It includes preventative treatment and specified day-to-day cover. You just have to decide which of these National Independent Medical Aid Society options best suits you and your family or business.